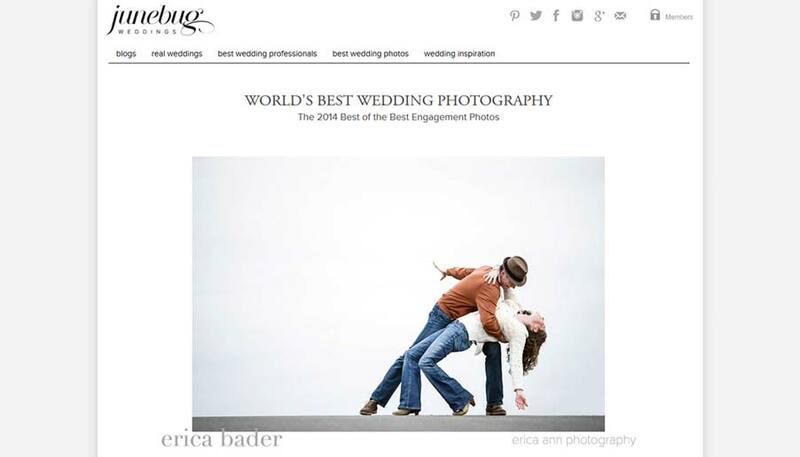 See where Portland wedding photographer Erica Ann has her photography published! 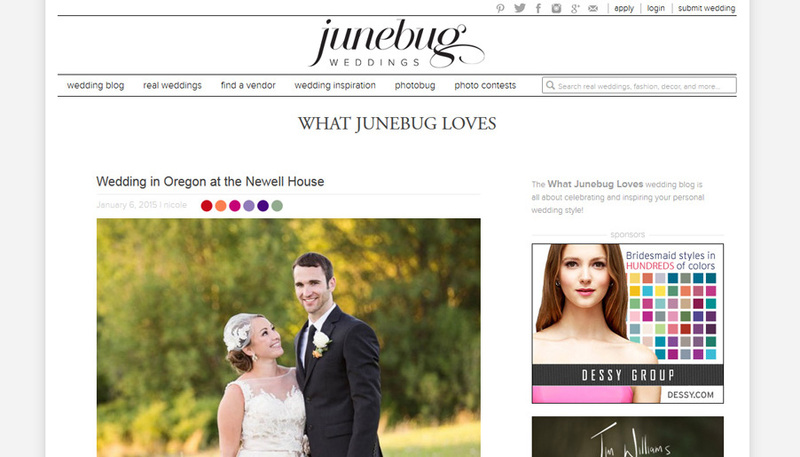 Anna and Jacob’s Newell House Wedding was a real wedding feature on Junebug Weddings today! Their wedding was so stunning and special, I loved being a part of it! Wow, so this image was awarded one of the “Best of the Best Engagement Photos” by Junebug weddings today! I feel so incredibly honored. 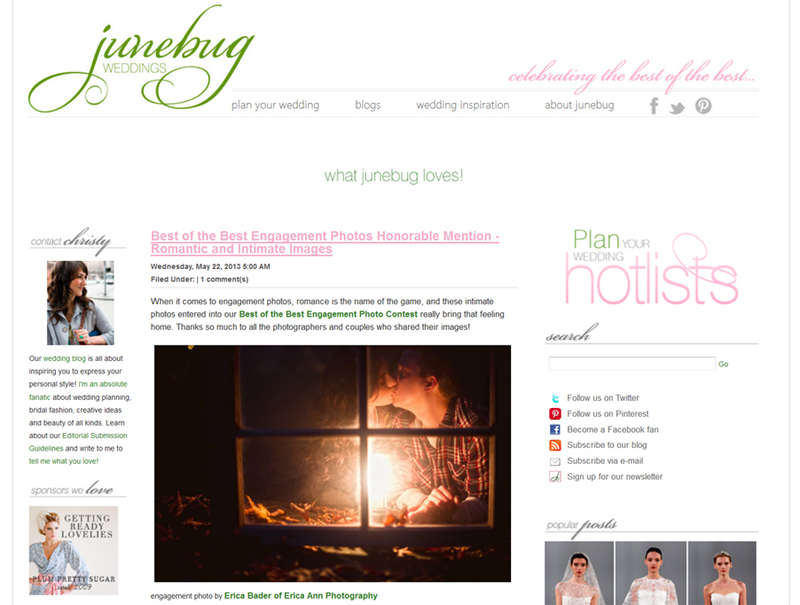 Junebug has been my favorite wedding inspiration blog since I found it three years ago. They aren’t just another over the top wedding details eye candy blog. Instead, they consistently show amazing photography from all over the world. Their focus is on emotional moments, artistic lighting and creative composition. Do you remember Meuy and Nai’s gorgeous wedding at the Portland Art Museum last December? Well guess what? 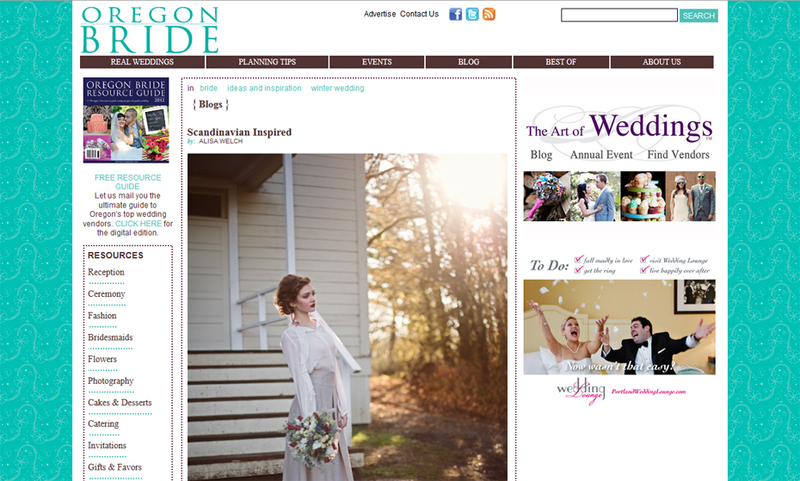 It was just recently featured in Oregon Bride Magazine! I was very excited today to find out that one of my images was awarded an honorable mention in Junebug’s “Best of the Best” Engagement Contest! They chose this image as one of the most romantic and intimate engagement images. This was from a really fun engagement session last autumn. The couple brought lanterns and had a picnic that went into the night! See the rest of their romantic Portland Engagement Session! 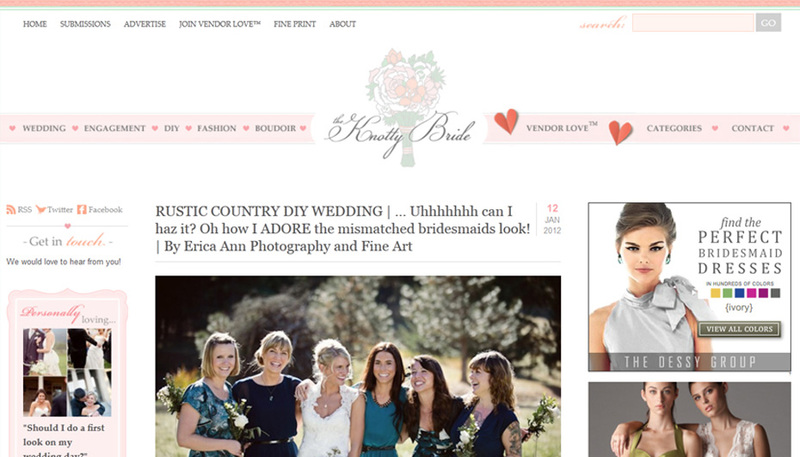 The Knotty Bride Feature – woot!